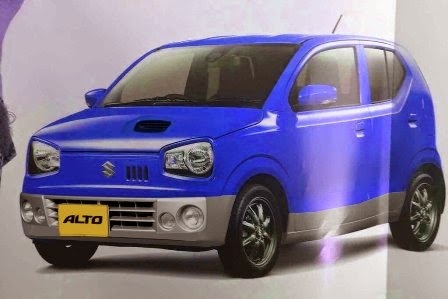 World’s largest small car maker Suzuki has released images of the next generation Alto for Japanese markets. The next generation Suzuki Alto will be launched in Japan on December 22, 2014. It will replace the earlier model which made its debut in 2009 Tokyo Motor Show. Will it come to India, probably not as Maruti has recently launched the Alto K10, which is basically a modified Alto 800. Looking at the design Suzuki designers have tried to give a distinct identity to the car. The unusual shaped headlamp, fiat inspired front grill and upward kinking of rear door window is something we see for the first time in a Suzuki car. There also a sportier looking model with dual tone colours theme with black bumpers, hood scoop and side cladding. 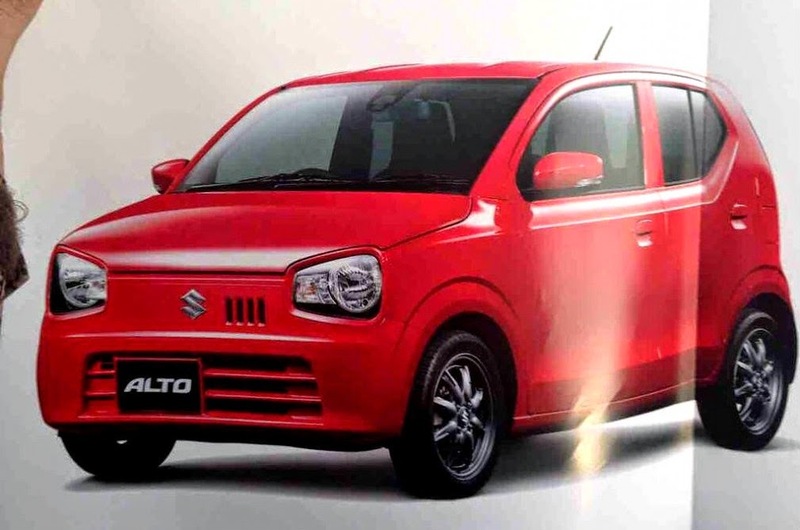 The new Suzuki Alto could be powered by the same 660cc 3 cylinder petrol engine that pumps out 54 Ps of power at 6,500 rpm and 63 Nm of torque at 3,500 rpm. It might also get a CVT gearbox along with 5 speed manual and 4 speed automatic. The most interesting fact is the new Suzuki Alto will be offered in 2 and 4 Wheel Drive options. Fuel efficiency is expected at 21 Kmpl. A more powerful turbocharged engine is also on the offer. A small car with 4 WD option? That’s the vehicle suited for India roads. Suzuki, are you listening.